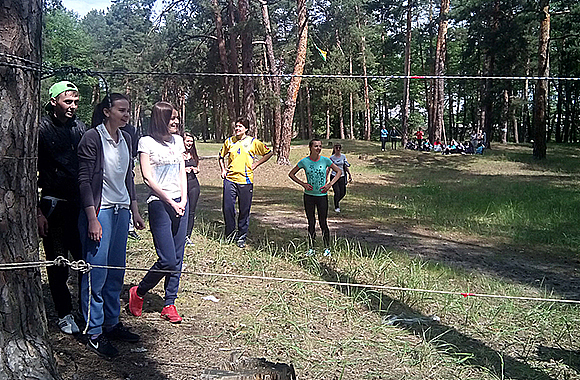 The competition among students and teachers on sports tourism (the cross hike on the marked route) took place at the Faculty of Natural Sciences for the first time. 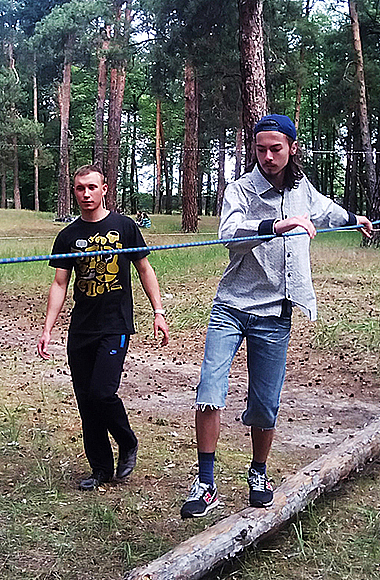 The organizer and chief judge of the tournament was the fourth year student of specialty “Geography” Kostyantyn Pavlenko. 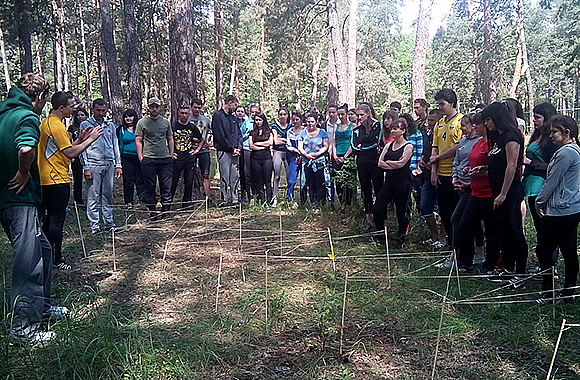 Eight teams attended the competition; each of team included five people. The length of the distance that participants had to pass was more than 2 km. 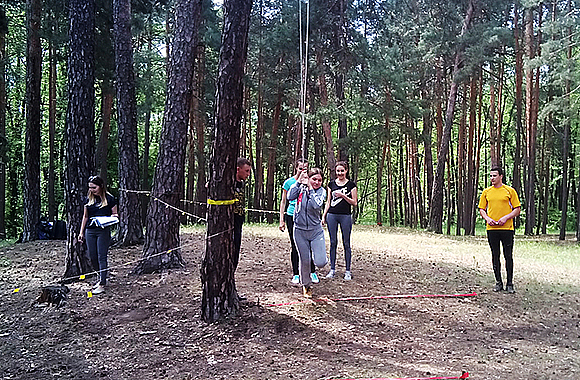 In the first stage of the competition, teams had to overcome the obstacle course: the pendulum, parallel rails, the pole and the “trap”. 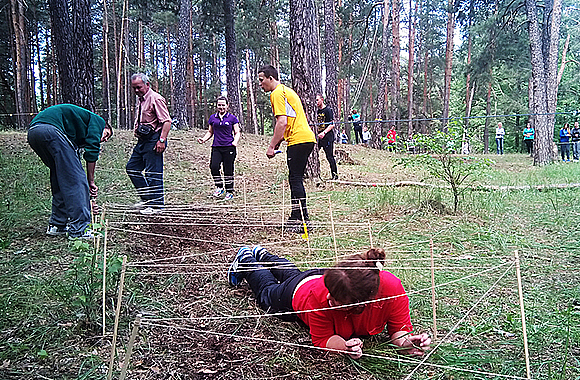 At the end of the first stage participants went on a marked route, during the passage of which it was necessary to perform such tasks as: “Selfies at the start”, “Azimuth determination”, “Topographic schizophrenia”, “Clever Monkeys”, “Campfire” and others. 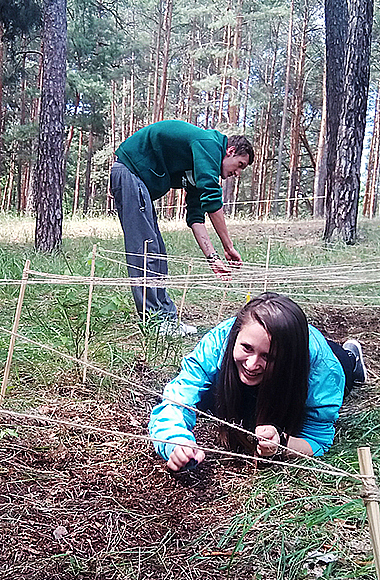 The results were determined by the sum of points obtained by the teams during course time. If two or more teams had the same number of points, preference was given to the team that had overcome the obstacle in less time. 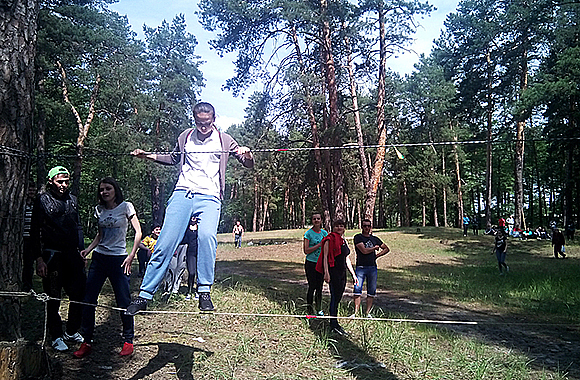 The winner of the competition was the team of “Gods of Nature”, the second place was taken by the team “Poteryashki”, the third place – “Wrong Turn”, the fourth place – “Azimuth”, the fifth place – “Professionals and Amateurs”, the sixth place – “Wanderers”, the seventh place – “Fairies Win”, the eighth place – “Blue-eyed Owl”. The Faculty of Natural Sciences congratulates the winners and all the participants of the tournament. We hope that this event will become a tradition for the FNS.